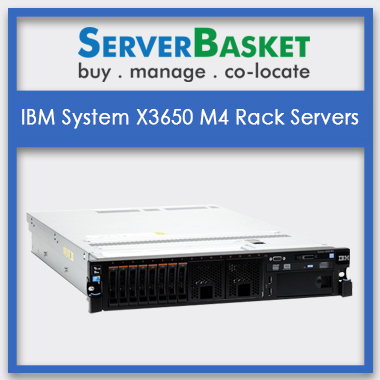 Server Basket offers all kind of servers at cheap and best price. 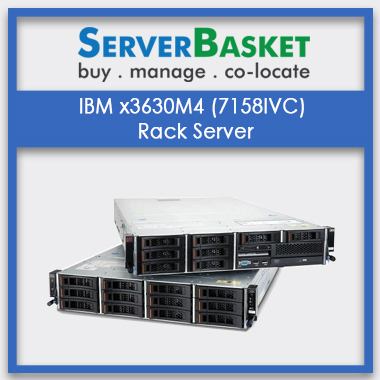 Enterprises can buy the suitable server at an affordable price with seller warranty. Buy Servers online with us will help you to avail discount offers, low prices, free delivery, installation free, reliable products, and security. We will deliver our products anywhere in India. 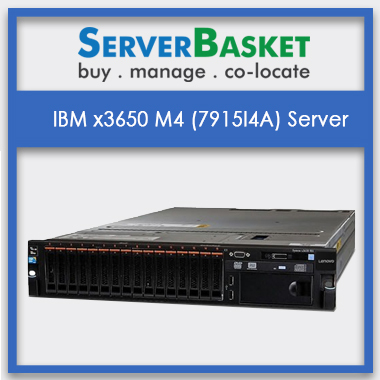 The multi-core design next-generation IBM x3630M4 7158IUC server is now available at best price order now the IBM x3630M4 7158IUC server to avail the greatest discount. IBM x3630M4 (7158IUC) has 384GB memory. IBM x3630M4 (7158IUC) Server is Featuring, high-performance, power-optimized Intel Xeon multi-core processors, the energy-efficient design with balanced functionality Powerful Intel Xeon E5-2400 v2 series multi-core processor with new microarchitecture design featuring Quick Path Interconnect (QPI) technology with Intel™ Extended Memory 64 Technology (EM64T). Performance is the main objective of the server, IT administrators can monitor the performance of many critical components of the server anytime. IBMx3630M4 7158IUC server has a standard memory of 8GB*1. The standard memory of entry level models is 8GB*1. But for other models it has a maximum memory of 384GB with 12 slots. With maximum memory of 384GB, you can store any files and folders without any worry for disc space. 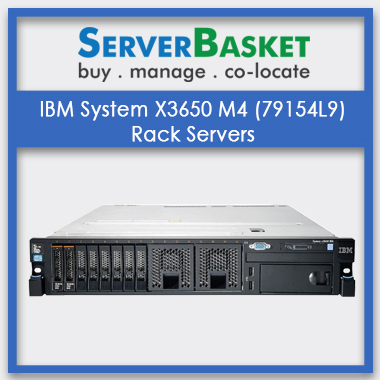 IBMx3630M4 7158IUC rack server has a maximum scalability of 12 slots. With this scalability, computer's performance gets enhanced. We offer seller warranty for 3 years on every product that you purchase from our store. We have one of the flexible warranty option available for the products. 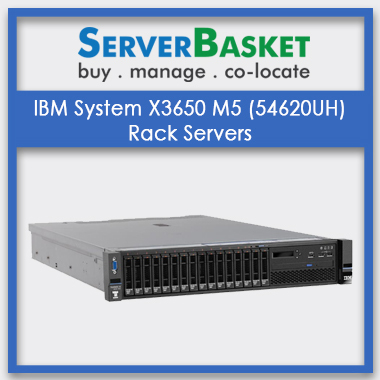 IBMx3630M4 7158IUC rack server has a better storage facility as compared to other servers. It has a Hard Disk and Storage Options, Open bay with 3.5`` Hot Swap SATA/SAS. 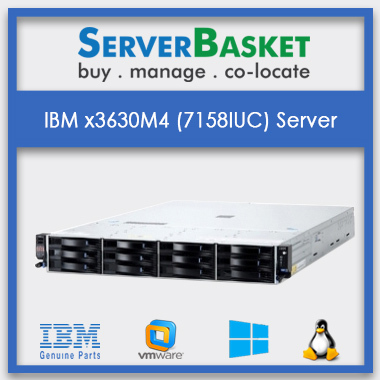 Users can get huge storage option with IBMx3630 M4 7158IUC server has 56TB max storage. We deliver all the servers within three working days from the time an order has been placed online from our website. Shipping services are free within both rural and urban areas all over India. We do secure delivery since we have ware houses in all major cities like Bangalore, Kolkata, Delhi, Pune, Mumbai…. Etc. HDD 1TB SATA 3.5" 2TB SATA 3.5" 3TB SATA 3.5"
IBM x3630 support up gradation of the PCI slots. Regarding my application, If I want to upgrade for future I can upgrade. Server basket provides such a wonderful service. 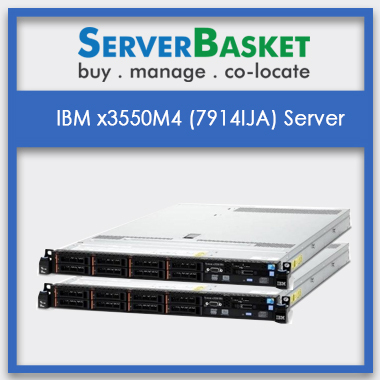 I purchased IBM x3630 M4 server. Initially, I don’t know which operating system is suitable for this server. I contact the technical team of server basket, they resolved my issues. How many processors are used in IBM x3630 M4 server? The number of processors used in IBM x3630 M4 are 2. May I know default cache memory of IBM x3630 M4 server? What is the default memory/RAM speed of IBM x3630 server? Default RAM offered for IBM x3630 server is 384GB. Does IBM x3630 M4 support different types of HDD? Can I use two different operating systems in IBM x3630 M4 server? What is default storage of this server? How many network controllers does this IBM x3630 M4 server manage? How much power does IBM x3630 M4 support?